The Department of Defense just unveiled their latest (not secret) super computer, which is based on 1760 PlayStation 3 gaming consoles. A friend sent me a link where John Herman interviews Mark Barnell about his involvement and the project's background. Cool as heck. But kind of sad and anti-climatic in a way. They mention it is built on the "original" PS3, not the more recent "slim". This is because they removed several key hardware components required to install an alternative operating system. And the latest software update for ALL PS3's removes the ability completely, even on the older one. The newest games and features require the latest PS3 software, so they're forcing everyone to decide whether they want a hackable PS3 or GT5 and streaming Netflix. And apparently you can't change your mind and downgrade later. Sony started with such a promising idea when they released the PS3, promoting openness and "hackability" for projects just like this. Universities were buying up lots of PS3s, and there were several Linux distributions built specifically for the PS3, such as YellowDog Linux. But it appears they've back-tracked toward their proprietary ways. I suppose game consoles are a much bigger industry than super-computing these days, but it is too bad they have to be mutually-exclusive. I've never seen an explanation from Sony as to why they decided to do this. But I can guess. 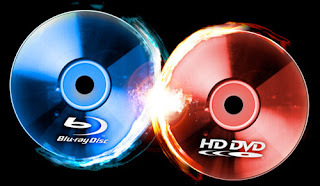 If you're familiar with Sony's past history of proprietary technology formats (MiniDisc, MemoryStick, Beta, and others), it seems at least somewhat plausible that the only reason they offered this ability on the PS3 was to do everything they could to boost Blu-Ray sales. Look at other things they were doing at the time as well. The PS3 was not only the most powerful gaming console available, but for quite some time it was also the cheapest Blu-Ray player you could by. So if you wanted a gaming console, you got a free Blu-Ray player. And if you wanted a Blu-Ray player, you got a free gaming console! I'm a long-time Grand Tourismo junkie, but I have to admit, that's the biggest reason why there's a PS3 in my living room. They won that war (even a blind squirrel...right? ), and so now they have no obligation to sell anything but the cheapest gaming platform possible. Remove the special hardware, and stop paying the cost of maintaining and testing the firmware/software code. I'm sure they were able to simultaneously increase their margin while reducing the price of the game console. But still...it's a shame.